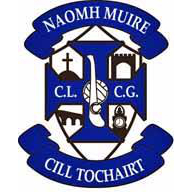 RESULTS – Well done to our Seniors who beat Fenagh St. Caillins by five points on Saturday evening. Our Under 17 game against Allen Gaels and Division 3 game against Gortletteragh were called off due to unplayable pitches. Well done to our U13 (15) team and management who beat Leitrim Gaels in the semi-final of the league and have now booked their place in the Barna Recycling League final. LADIES – The U14 girls played Kealdra Gaels on Tuesday evening. Please keep an eye on Facebook for next fixture. Well done to St. Mary’s/ Bornacoola Junior Ladies who beat Aughawillian on Sunday by three points in the third round of the league. They are playing Annaduff next Sunday 15th April at 11am in Annaduff. Best wishes to all. Leitrim Gaels V’s St. Mary’s at 6.30pm in Leitrim Gaels. Allen Gaels V’s St. Mary’s at 6.30pm in Allen Gaels. Melvin Gaels V’s St. Mary’s at 7pm in Melvin Gaels. Leitrim Gaels V’s St. Mary’s at 12 noon in Leitrim Gaels. Best wishes to all teams. U7 boys and girls from 12pm-1pm.Please keep an eye on Facebook for further details. U9 boys continues Sunday from 6.30pm to 7.30pm while U11 training for boys continues at 7.30pm to 8.30pm on Sunday. Please come along & spread the word among friends. New members very welcome. Play our Smart Lotto on line by clicking on http://bit.ly/StMarysKiltoghert Tickets cost €2 or you can enter a yearly lotto at a discounted rate of €80 which enters you into 52 draws. The Jackpot currently stands at €10,000. MEMBERSHIP – Please ensure that you have your membership paid, if you have not already done so you can get a form from your relevant coach, complete and return with payment. SYMPATHY – We offer heartfelt sympathy to Robert Mulvey and family on the recent death of Robert’s mother, Julia Mulvey, Drumshanbo. Ar dheis Dé go raibh a hanam dílis.